From Lionsgate and Codeblack Films. Years after a drunken car crash that almost took his life, Tommy Carter (Anthony Mackie) has reinvented himself as a therapist/spiritual advisor who advocates a synthesis of world religions and positivity. He's parlayed this vocation into a successful book release that one day draws the attention of Angel Sanchez (Forest Whitaker), a profoundly troubled man fixated on the "untimely" death of his mother. When Carter takes on Sanchez as a personal client in an effort to raise funds for his indebted brother Ben (Mike Epps), things quickly take a turn for the worse. Angel needs much more than a simple life coach. What may be simple to grasp for some is the idea that single actions in the past comprise tidal waves of reactions in the present. 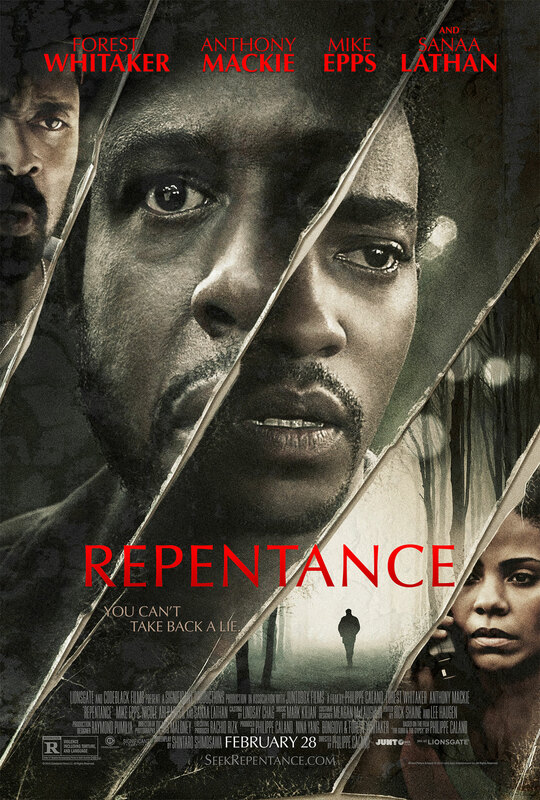 Director Philippe Caland's REPENTANCE examines these issues against a backdrop of kidnapping and murder.